Today a nation turns its low-paid eyes to Seattle, where lawmakers have just approved a measure that will raise the city’s minimum wage to $15 an hour. The measure will create the highest minimum wage in the nation and one of the highest in the world. It will also make Seattle into a testing ground for what supporters of the wage hike hope will be a cross-country movement. The strategy to pass the $15 minimum wage — which, as I wrote last week, was devised by Seattle’s socialist city-council firebrand, Kshama Sawant, and pushed to completion by its mayor, Ed Murray — should be a Kennedy School study in shifting the Overton window on contentious issues. At first, a $15 minimum wage sounded crazy — like a Scandinavian social experiment gone wrong. But when political candidates realized they could distinguish themselves from the pack by pushing for it, the $15 minimum wage started to look promising, then, eventually, inevitable. Supporters of the bill are hoping it will spread. Already, labor activists in cities like Milwaukee, Providence, Chicago, L.A., San Francisco, and New York City are calling for similar wage hikes. And crazier things have happened — even though economists warn that raising the minimum wage by such large amounts could wreak havoc in the labor markets, it’s still a political slam-dunk for progressive politicians hoping to play up their populist bona fides. But taking the $15 minimum wage nationwide won’t be easy. Seattle’s experiment had a lot of factors in its favor: a progressive voter base; an already-high minimum wage above $9 an hour, which made $15 seem like a lesser jump; the timing of a mayoral race in which both candidates found it politically advantageous to back the wage hike. Not every city can replicate that. And on a federal level, the minimum wage seems stuck in the single digits — Congress and big business have so far successfully fought President Obama’s attempt to phase in a $10.10 minimum wage. In the short term, it appears that the minimum-wage battle will be fought on a city-by-city basis. Which makes it much more interesting to watch. After all, city politicians (who take far less money from big corporations than national politicians) have less immediate incentive to kowtow to business interests, and more to gain from backing radical-seeming proposals that are popular among their constituents. 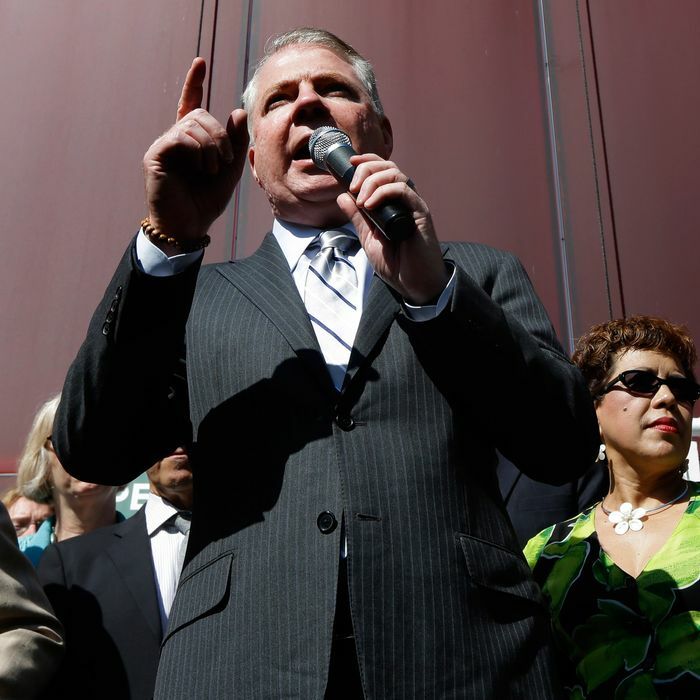 City governments like Seattle’s can be more nimble than a deadlocked Congress, and mayors like Seattle’s Ed Murray can push things through in weeks that might take years to get passed on a federal level. Urban labor activists also benefit from inter-city competition in a way that federal activists don’t. If France or Italy passes a radical labor law, it doesn’t make our Congress more likely to follow suit. (In fact, it may make Congress less likely to pursue it.) But if Seattle’s $15 minimum wage doesn’t immediately destroy the local economy — and it won’t, despite the protestations of some economists, since it will take at least three years to phase in for most businesses — workers in other cities will wonder why their city council hasn’t passed such a bill. Seattle now looks far out in its attempt to provide a radically higher standard of living for bottom-earners, but pretty soon, cities that don’t pay workers $15 an hour could appear stingy and archaic.